Companies are constantly trying to remain competitive among the vast array of other brands on the market. Certain businesses stand out among the crowd due to quality, service and products – many of which are determined by the marketing campaigns undertaken by the brand. One surefire way to further distinguish your company is by adopting practices unique to your brand, such as developing social media campaigns pertaining to your offerings or distributing promotional products that other businesses may not have thought to. As you sift through the myriad products offered by Myron, think about selecting a less-than-conventional item to allow your brand the recognition it needs. 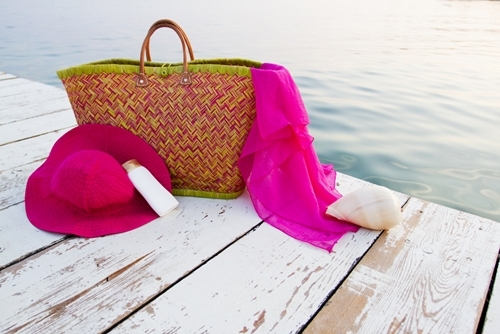 Now that the summer is in full gear, businesses should explore items their consumers could use while spending time in the sun. Companies could opt for traditional items like plastic flying discs or sunglasses, but those who want to further distinguish themselves may want to consider the following. Consumers may be spending time in a variety of landscapes in the great outdoors – they could be basking in the sun at the beach or embarking on an adventurous pursuit in the woods. One of the greatest challenges consumers may face while enjoying the outdoors is the weather, as conditions in the summertime could change at the drop of a hat. There are many promotional umbrellas to choose from, but if you’re more interested in an unconventional product, consider the Promotional Rain Slicker In A Bag. This item is ideal for consumers who are looking for full coverage in the rain, as the hood and plastic sleeves keep people from becoming drenched. Additionally, the jacket is confined to a medium-sized bag that prominently features your logo on its side. Alternatively, for those who predict they will be spending a great deal of time in direct sunlight, offer a product that will serve them well during this time, such as the 1.5 Oz. Promotional Sport Sunscreen with Carabiner (SPF-30). This product not only shows off your brand on its side, but also attaches easily to any keychain or belt loop, allowing the consumer to become a mobile brand ambassador for your business. The summer may be replete with opportunities for vacations and outdoor activities, but it could also lead to greater stress levels – especially among those who must deal with planning excursions, finding childcare for students out of school or running an array of errands on a weekly basis. Companies should consider offering promotional stress relievers, which can be tailored to specific industries. This mental health item may prove to be incredibly useful for businesses, as consumers tend to remember brands associated with health items in greater numbers. According to the 2013 Global Advertising Specialties Impressions Study conducted by the Advertising Specialty Institute, 82 percent of consumers remember the name of the advertiser on their health-related item. If you work in the medical profession, you may seek to distribute the Doctor Promotional Stress Reliever (Male). Conversely, if you work at a bank, it may be worth it to invest in the Moneybags Promotional Stress Reliever. One of the best ways to pass time outside is by playing games, whether you prefer joining a recreational sporting league or setting up your own station outdoors. Consider a promotional product that will give customers an exciting task to complete outside. The Custom Paddle Ball Beach Set is ideal for those who are going on a trip with friends or anticipate playing this leisurely game. Those who are planning a beach vacation may prefer the Promotional Beach Ball in a Bottle – a classic activity for beach-lovers around the world.